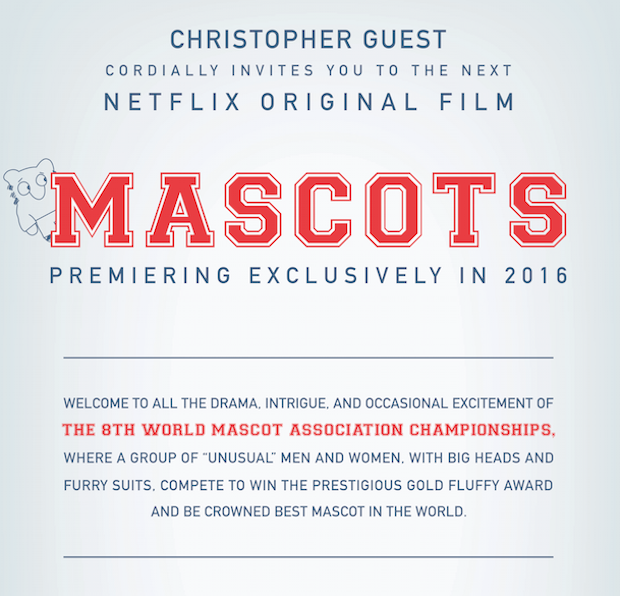 Christopher Guest, the "mockumentary" filmmaker behind This is Spinal Tap, Waiting for Guffman, Best in Show, and For Your Consideration, will be creating a Netflix original movie called Mascots. The film follows men and women competing in the 8th World Mascot Association Championships for the prestigious Gold Fluffy Award. It will premiere on Netflix in 2016, but a specific release date has not been announced.